The only thing that has been making news, at least in India, is the GST update. With the prices of automobiles going down, there is a lot of positivity as cars are getting more accessible. However, there exists a niche group who are likely to be inert to all this. Instead, all they want is more exclusivity, power and appeal. And just for them, there is the 2017 Porsche 911 GT2 RS, the most powerful iteration of the 911 that the world has ever seen, which is revealed at the Goodwood Festival of Speed in England. While the German sportscar manufacturer has just revealed the 2017 Porsche 911 GT2 RS, it is not the first time that the world is getting to witness its form. Last month, we told you how 2018 Porsche 911 GT2 RS debuted with the Forza Motorsport 7 video game. Since this 911 is all about performance, it had to be light weight. And this has been done with the use of the carbon-fibre reinforced plastic (CFR) on the front wings, wheel housing vents, outer shells on the exterior mirrors, air intakes on the rear side sections and different parts of the rear end. Additionally, the boot has been made out of complete carbon while the roof is made from magnesium. If you prefer your 911 GT2 RS leaner than this, there is the optional $31,000 Weissach package with 30kg weight saving. The package includes additional elements made from carbon-fibre reinforced plastic and titanium. In this package, the roof, the anti-roll bars and the coupling rod of axles are made of carbon. Helping the already fantastic handling of the Porsche get better are the magnesium alloys that Porsche claims reduce both the gross weight and the unsprung weight of the vehicle. 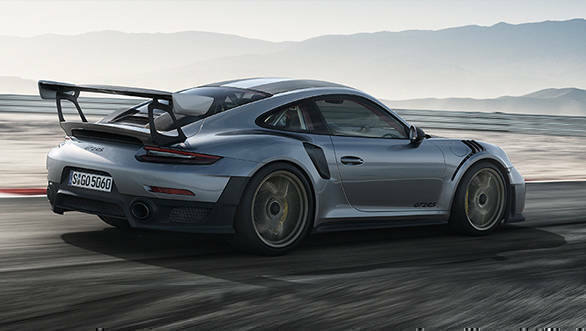 It should be noted that the new 991 series-based GT2 RS is 100kg heavier than the 997-based 911 GT2. 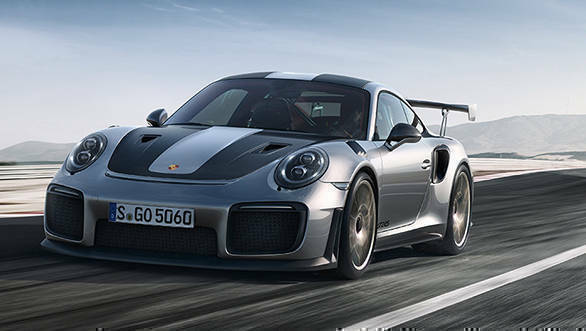 To make it take on the tracks with more confidence, the GT2 RS is based on racing chassis with rear-axle steering and Ultra High Performance (UHP) tyres. It runs on 265/35 ZR 20 at the front and 325/30 ZR 21 at the rear. Doing braking duties are the Porsche Ceramic Composite Brakes (PCCB) that are offered as standard. The 911 GT2 RS gets an even more aggressive design with the three large air ducts and a prominent splitter on the new front bumper. Even the side has been restyled with more prominent character lines. The air ducts positioned on the rear wings channelise the air flow to the rear-mounted motor. Similar to the 911 GT3, this one too gets an integrated ducktail-style spoiler and a large adjustable rear wing, which help cool the motor more effectively. Inside too, the racy theme is carried ahead. 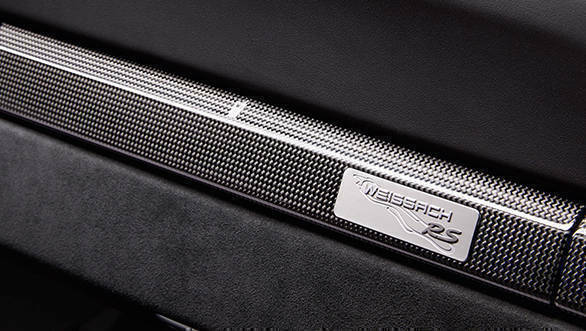 This can be seen with the new red Alcantara, black leather. The carbon-weave finish will be offered as standard. 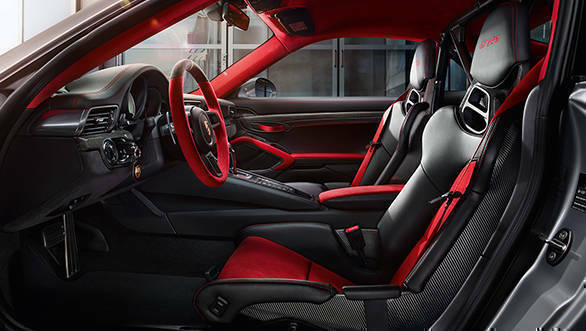 The 911 GT2 RS will come equipped with the Porsche Communication Management (PCM) that is the central control unit for audio, navigation and communication. The Connect Plus module and Porsche track precision app are also included as standard. It offers recording, display and analysis of driving data on a smartphone. Now coming to the heart of the matter. When we did the previous coverage on the 2018 GT2 RS, we did mention that it might be powered by a 640PS motor. Porsche has ended the speculation by announcing the performance figures. The 2018 Porsche GT2 RS is powered by the 3.8-litre engine that does duty on the 911 Turbo S. However, for the RS, it gets large turbochargers, new additional cooling system as well as water injection. The motor spits out 700PS (up by 80PS) and generates 750Nm (up by 50Nm) when compared to its predecessor. The motor is mated to a GT 7-speed double-clutch transmission (PDK). Porsche claims that the GT2 RS can now sprint from 0 to 100kmph in 2.8 seconds (0.7 seconds faster) and reach a maximum speed of 340kmph. It also gets a specially developed exhaust system that is made from extra-lightweight titanium and weighs around seven kilograms less than the system used in the 911 Turbo. 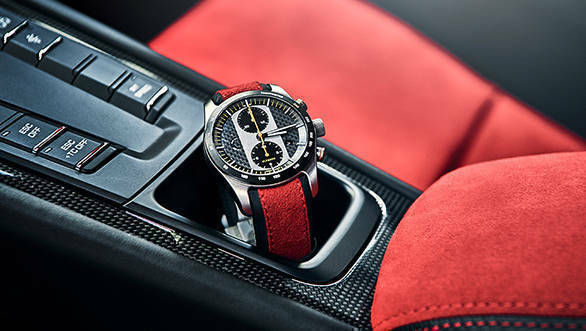 To make the experience even more exclusive, Porsche has also unveiled a watch that has been especially created for the 2018 GT2 RS customers. This watch has been designed by Porsche Design and Porsche Motorsport. This one too, like its inspiration, is light weight as it is made out of lightweight titanium. The tungsten winding rotor is designed to look similar to the rims of the 911 GT2 RS. The clock face is made of carbon, while the design of the time display is similar to the instrument cluster and the tachometer. The prices of the 2018 Porsche GT RS starts at $2,94,000 that is equivalent to Rs 1.90 crore. It will reach US dealers by early 2018 and then might arrive in India in the following months.